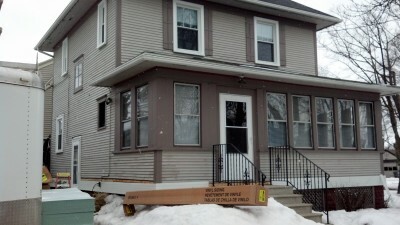 Remodeling your home including replacing your windows or doors is not a casual task. It requires the skills, tools and training that only we can provide. Let ​​​​​​​​​​​​​​​​​​Brandon Henderson's Construction Plus handle your next remodeling job. We can help you select a door style that is right for you. We offer a variety of doors to suit your needs. Sick of washing and staining your deck year after year? We can help you appreciate your outdoor living spaces once again. When it's time to update your home let us help you with an assortment of remodeling needs. Looking to add shade to your patio or terrace? 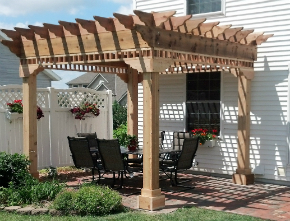 We can custom build a pergola to cool down your outdoor living space. Building a new home? Let us help you by adding the final touches to your exterior. Why Choose Brandon Henderson's Construction Plus? Continuing Education in "How to Build Green"
For most homeowners replacing windows, doors and remodeling is not a small job. From a contractor's standpoint you want to hire a professional to get it done right the first time. Plus there is the piece of mind knowing that the job was done right. Looking for ideas & inspiration to complement your home? Look no further than​​ Brandon Henderson's Construction Plus! From your imagination to our designs we'll help you create a new and improved look throughout your home. Brandon Henderson's Construction Plus is a locally owned and operated business serving Rochester, MN and the surrounding area. We specialize in new and replacement windows and doors for residential and commercial projects. 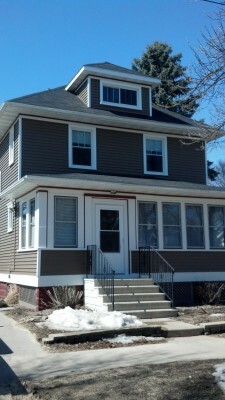 We also do quality work with siding and remodeling. We believe in helping you make an educated decision by providing complete and unbiased information on the replacement of your windows and doors according to your specific needs. We are licensed (#20301127), bonded and insured. Call us today at 507-529-9196 and schedule your free estimate.